The next sunday, 28 October, to 18:00 hours, he Teatro Real will live an unforgettable appointment with one of the most beloved and admired interpreters of the great opera houses of the world, Mariella Devia. The great Italian soprano, after his farewell opera staged, will offer a special concert that will say goodbye to the public of Madrid before his retirement. For his last appearance on the stage of the Plaza de Oriente, Mariella Devia has chosen a program dedicated to Donizetti and two reference characters in his repertoire: Maria Stuarda Y Anna Bolena, two English queens lives haunted by intrigue, controversial history, whose final bloody was drawn with masterly drama by composer Bergamo. She will be accompanied on this emotional concert, which will start the cycle Voces del Real, for him Choir and Orchestra of the Teatro Real Headlines, under the musical direction of maestro José Miguel Pérez Sierra. With them, They will reply to the great diva, in different scenes from the operas mentioned, the voices of the tenors Alejandro del Cerro Y Emmanuel Faraldo, baritones Javier Franco Y Gerardo Bullón and soprano Sandra Ferrández. Mariella Devia is an exceptional singer. His perfect singing line, his delicate phrasing, his mastery of coloratura and control of resources, They have made it one of the interpreters of reference for the new generations. 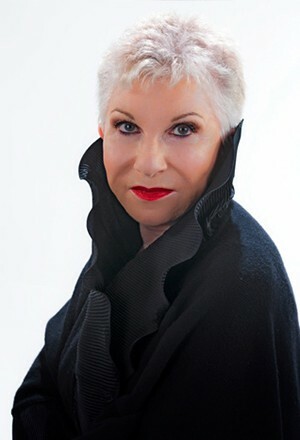 With a career built on steady work, established as the technique and careful choice of roles that have cemented, Devia has especially excelled in interpreting characters as Norma important dramatic demands, Lucia de Lammermoor, Violetta Valery (La traviata), Maria Stuarda and Anna Bolena. With the wisdom of the great, who they know say goodbye before being displaced by the crudeness of this, Mariela Devia offers his farewell to an audience that still keeps in its memory the extraordinary Queen Elizabeth I of England, at the opening of the Season 2015-2016 the Royal Theater with Roberto Devereux, and his last invocation to the Moon, Norma, another October, from 2016, in this scenario.